This is very simple , cheap and quick way to make your nails look attractive. You will need : foil and glue .First apply some top coat , after that put some glue around the cuticle . 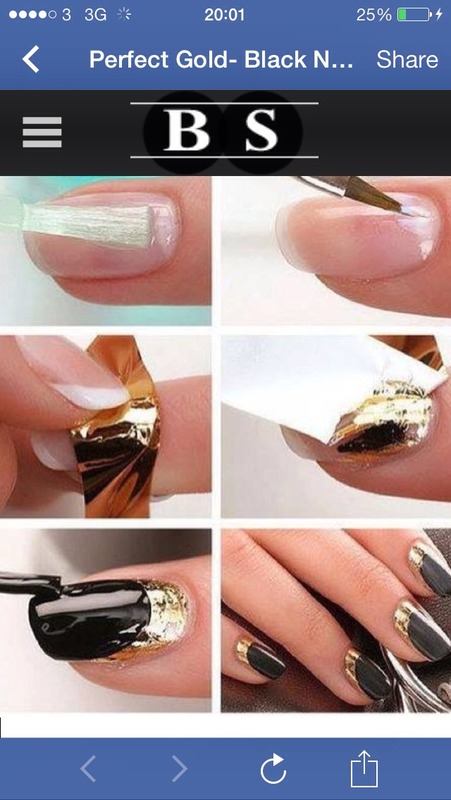 Cut the foil into small pieces and put it over your nail. You should press hard your nail against that foil .